Fish oil may reduce miscarriage risk. A recent study conducted by scientists at the University of Western Australia suggests that women who take fish oil during pregnancy may be less likely to have a miscarriage or suffer serious complications like pre-eclampsia and gestational diabetes. Fish oil, not only enhances the development of the brain of a developing fetus, it is known to reduce inflammation in the body. 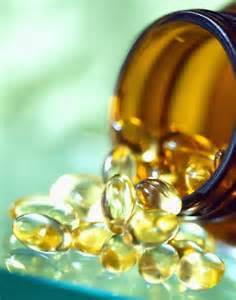 Researchers found that the fish oil also improved the functioning of the placenta. Although the study was performed on pregnant rats, the researchers are hoping to confirm the findings in humans. See the full story at: http://www.telegraph.co.uk/health/healthnews/10208321/Fish-oil-during-pregnancy-reduces-risk-of-miscarriage.html.